Sleep Regression, Phase, or Habit? Learn whether your baby’s recent sleep problems are due to a regression, a brief phase, or whether they represent more problematic sleep habits and associations. Sleep Regressions: Everything You Need To Know An overview of all the most common sleep regressions our clients face, along with a summary of each. This is a great at-a-glance resource! Sleep Regression, or Growth Spurt? Or Both? Sleep regressions and growth spurts – are they the same thing? We compare sleep regressions and common baby growth spurts, and offer tips for managing both. Your Toddler’s Sleep Regressions Explained An overview of the two most common toddler sleep regressions: the 18 month sleep regression, and the 2 year sleep regression. 6 Week Sleep Regression, or Growth Spurt? Learn whether your 6 week old baby’s sleep disturbances are due to a sleep regression, or a growth spurt. The 4 Month Old Sleep Regression (Sometimes 3 Months and 5 Months, Too)Our original 4 month sleep regression article, written by Nicole herself! This is one of the most popular articles on our site. 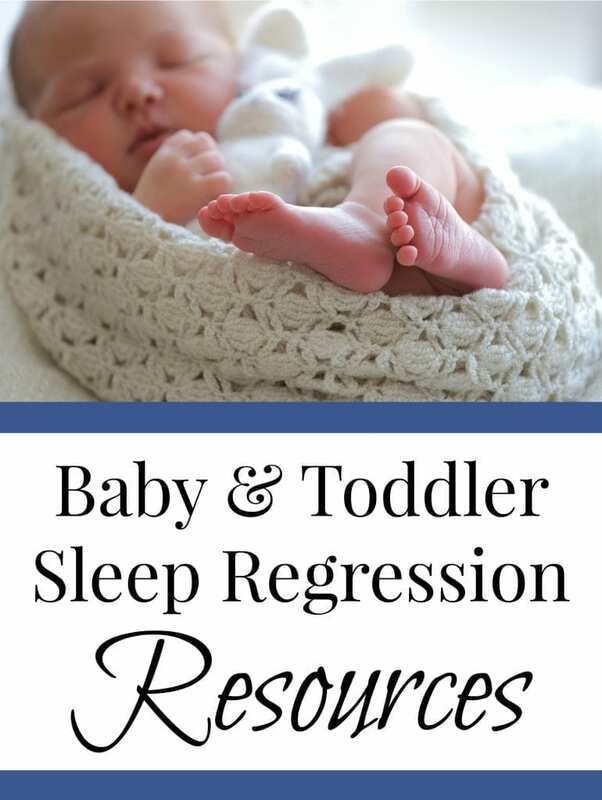 4 Month Sleep Regression: What It Is, and How To Fix It A new, updated 4 month sleep regression resource that offers a list of tips to help you manage the 4 month regression. 4 Month Sleep Regression Checklist Learn what you should do before, during, and after the 4 month sleep regression. The 8/9/10 Month Sleep Regression Learn why this regression happens at 8, 9, or 10 months, and how it is directly linked to all the physical development your baby is experiencing at this time. The 8-10 Month Sleep Regression Survival Guide The ultimate survival guide to getting through this incredibly tough sleep regression! 12 Month Sleep Regression (Sometimes 11 Months) Not all babies go through the 12 month sleep regression, but it can still be a tough one. Learn how it is connected to the transition from two naps to one. 10 Ways To Survive The 18 Month Sleep Regression This article outlines practical, easy-to-use tips and tricks for how to survive this particularly difficult sleep regression. Why The 18 Month Sleep Regression is One of the Hardest This is one of the toughest regressions, from what our clients tell us. Learn why, and read tips about how you can survive this especially difficult sleep regression. 2 Year Sleep Regression: Common 2 Year Old Sleep Problems Learn about common 2 year old sleep problems that are associated with the 2 year sleep regression, and how to manage the regression without creating new, unwanted sleep habits. Sleep Regression, or Something Else? This quiz will help you determine whether your baby or toddler’s sudden sleeplessness is due to a sleep regression, or something else.